How to make crave-worthy garlic butter shrimp scampi in under 15 minutes. Perfect served alone or spooned over pasta, rice or lower carb zucchini noodles. Jump to the 15 Minute Shrimp Scampi Recipe or read on to see our tips for making it. Shrimp scampi is a classic recipe and for a good reason. Who doesn’t crave sweet shrimp in creamy lemon butter sauce? These shrimp are perfect served as an appetizer, side to vegetables or next to a few slices of crusty bread. 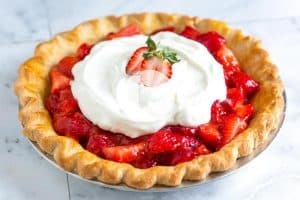 They are also an excellent topping for pasta and rice. 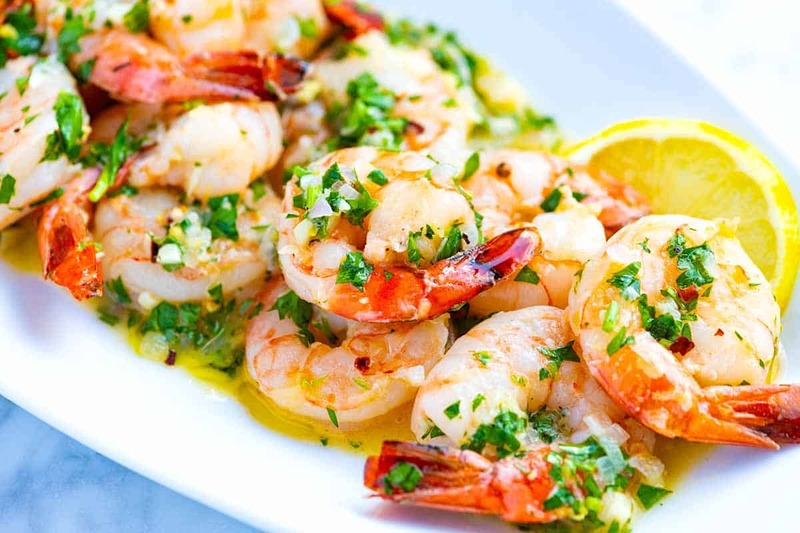 For a slightly different spin, take a look at our easy garlic shrimp recipe made with cilantro, lime, and butter sauce. What is in Shrimp Scampi? Shrimp — The size of shrimp you choose is up to you, but we love to use extra-large shrimp in this recipe. That means that for one pound of shrimp, you will get close to twenty-five shrimp. Aromatics — This recipe is simple and doesn’t ask for many ingredients. When it comes to aromatics in this recipe, garlic is a must, and if you have it on hand, shallot is nice, too. The garlic adds lots of flavor, and the shallots add sweetness and melt into the garlic-butter sauce. In addition to the garlic and shallot, we add a pinch of crushed red pepper flakes for a little spice. 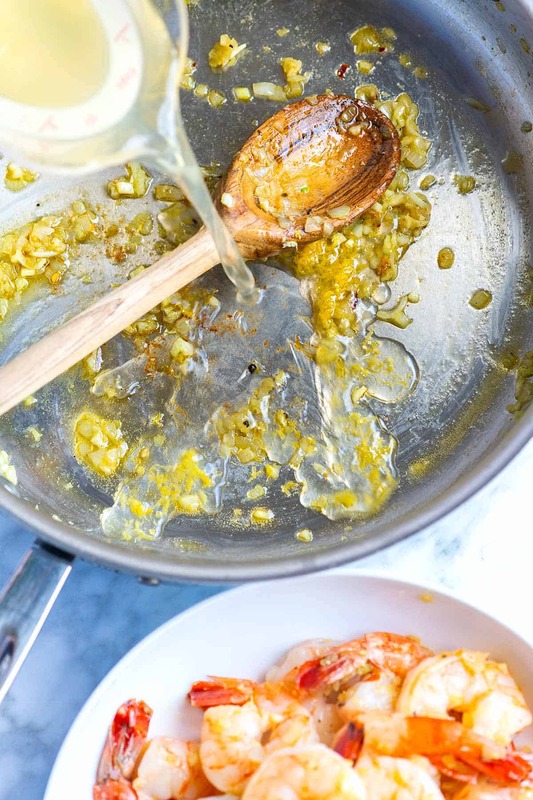 Olive Oil and Butter — We call for olive oil to cook the garlic, shallot, and shrimp. Then we switch to butter to make the scampi sauce. 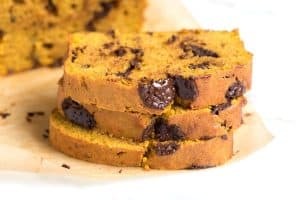 You can use all butter if you prefer. Dry White Wine — For classic shrimp scampi, you’ll want to use a dry, crisp white wine. We reach for pinot grigio, sauvignon blanc or unoaked chardonnay and choose something we enjoy. The recipe calls for 1/2 cup, so you will have wine leftover to enjoy with the shrimp. If you don’t drink or cook with wine, we shared an alternative in the recipe below. Lemon and Parsley — We add both fresh lemon juice and fresh chopped parsley towards the end of the recipe. The lemon keeps the butter sauce light on its feet, and the parsley adds color and a pop of fresh flavor — I love the taste of parsley, so I add quite a bit. Cook garlic, minced shallot, and a pinch of red pepper flakes in olive oil until fragrant. Add the shrimp and cook until they start to turn pink, which only takes a minute or two. Pour in the wine and some fresh lemon juice and cook until the shrimp are cooked. Transfer the cooked shrimp to a plate. With the pan off of the heat, swirl in butter and parsley until a velvety butter sauce forms. 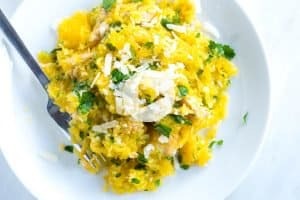 Serve alone, with bread, over pasta or rice, or with vegetable noodles like baked spaghetti squash or zucchini noodles. Use any pasta for this; angel hair and linguini are our favorites. Get the pasta cooking straight away. The shrimp take around 5 minutes to cook. Check the package directions for the cook time associated with the pasta you are using. Angel hair pasta takes around 4 minutes to cook, so I’d drop the dry pasta into boiling water at the same time as starting to cook the shrimp. Linguini, however, takes closer to 9 minutes so consider dropping the pasta into boiling water a few minutes before starting the shrimp. When tossing the cooked pasta with the sauce and shrimp, if it seems dry, add 1/4 cup to 1/2 cup of the pasta cooking water to thin it out a bit. The starches in the water will also help the sauce to stick to the pasta strands. This buttery garlic bread would be incredible served next to shrimp scampi. Thanks to orzo and a few fresh ingredients, you can make this easy orzo pasta recipe in under 20 minutes. You won’t believe how quick and easy this avocado pasta is! It comes together so quickly — you only need 15 minutes. Plus, no fancy equipment is required. How to make our low-carb 20-minute zucchini noodle pasta recipe with garlic, tomatoes, basil, and parmesan cheese. How to make garlicky, buttery shrimp scampi in under 15 minutes. Perfect served alone or spooned over pasta, rice or lower carb zucchini noodles. Pat the shrimp dry then season with 1/4 teaspoon of salt and 1/4 teaspoon of fresh ground black pepper. Add the olive oil to a wide skillet. Place the skillet with olive oil over medium heat then add the shallots, garlic, and red pepper flakes. Stir around the pan until fragrant; about 1 minute. Add the shrimp, nestling them into the pan so that they are in one layer. A few shrimp stacked on top of each other is okay. Cook, without moving until the edges start to turn pink, about 1 minute. Stir in the wine and the juice from half a lemon (1 1/2 to 2 tablespoons). Continue to cook until the wine has reduced a bit and the shrimp are cooked through, another minute or two. Slide the skillet off of the heat. 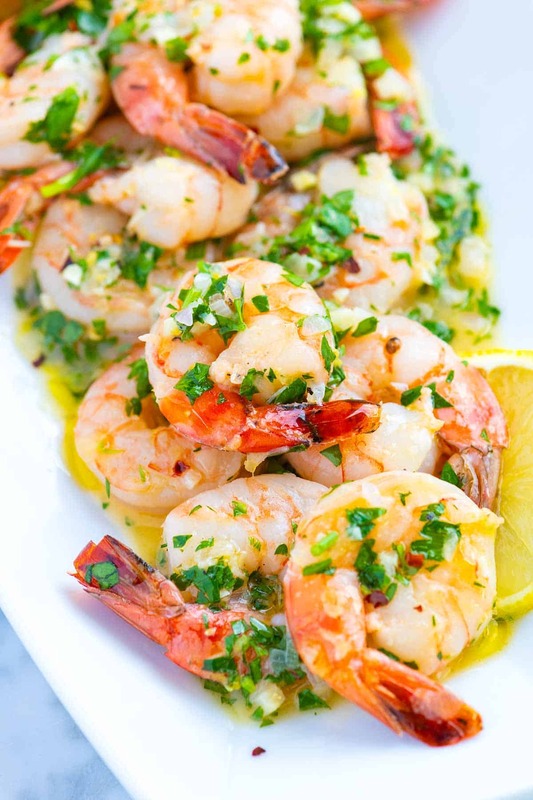 Transfer the shrimp to a plate, and then, with the skillet off of the heat, add the butter and parsley. 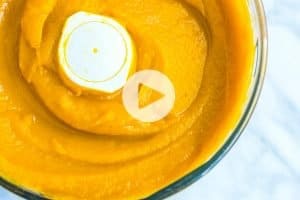 Stir the butter around the pan so that it melts into the sauce making a creamy butter sauce. (If the butter is not melting, place the skillet over low heat until it does). Taste then season as needed with salt, pepper or additional lemon juice. Serve with a few extra slices of lemon on the side or with pasta, zucchini noodles or rice. Substitute for shallot: Use 1/4 cup minced yellow, white or sweet onion. Substitute for wine: Use 1/2 cup of chicken, vegetable or seafood broth. 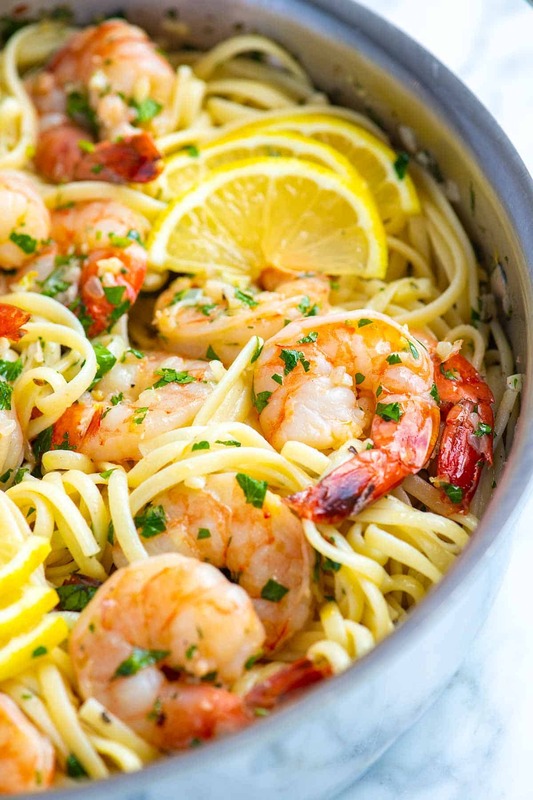 Shrimp Scampi with Pasta: Use 8 to 12 ounces of dry pasta for 1 pound of shrimp. If, when tossing the pasta into the scampi sauce, it seems dry, add a 1/4 cup to 1/2 cup of the pasta cooking water to thin it out a bit. The starches in the water will also help the sauce to stick to the pasta strands.